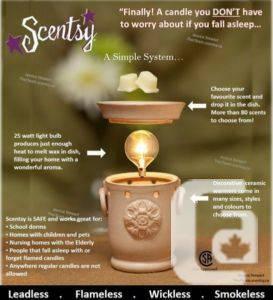 Scentsy offers a variety of unique home, office and personal fragrance products, including scented wax and decorative ceramic warmers. Which together provide a safer alternative to burning wicked candles. Scentsy also offers Scentsy buddies for children, travel tins, soaps, lotions and perfume to bring your Scentsy with you everywhere! Scentsy's beautiful warmers house a low-watt light bulb that slowly melts the Scentsy wax bar, filling your home with one of more than 80 distinctive and long-lasting scents. I am an independent Scentsy consultant available in the Calgary and surrounding area to help you host your own Scentsy party. It's a great way to get friends and family together for any type of occasion! For more information about the products, to book your own Scentsy party or to join my team please contact me via e-mail, phone or visit my website http://tiayana.scentsy.ca to order online and ship right to your house! 1 1/2 year natral gas BBQ runs great,little dirty but will clean up well.